Finding the right car for you is often just the beginning of a long relationship that requires trust and understanding. We understand how many car owners feel as they watch their odometer approach the mileage printed on their oil change sticker. And we know the anxiety caused by a check engine light that only comes on at the worst possible moment. We know how busy you are, and how crucial having a car in tip-top shape is to keep you happy. The Volkswagen of South Mississippi Service Department is made up of one of the most capable teams in the business. Whether you are in need of a quick oil change, brake service, or car repairs, we can take care of you, and get you back to your routine. And we offer a free car wash with every service or repair. We know how hectic your schedule can be. The simple act of scheduling a service appointment can be nearly impossible with your busy lifestyle. We have made it as easy as possible to schedule your next service appointment online, any time. There is no need to make an appointment for our VW Service Xpress, but for larger automotive repair and maintenance jobs, it’s as simple as filling out a quick and easy form to get you in and out, and on with your life. We are also so happy to be able to offer you some of the best deals in the area, with service coupons in South MS. Our coupons are also designed to make your life easier, saving you money by simply sending a coupon to your email or texting it to your phone directly from our site. We hope you’ll take advantage of our Service Coupons. They truly are some of the best deals in Southern MS. If you are looking for nearby VW parts, service or body shop, look no further than Volkswagen of South Mississippi. Our service department can perform essential automotive services such as brake pad replacements, wheel alignments, and oil changes. 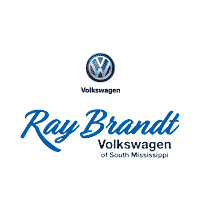 We are well worth the trip for customers searching for a VW dealer in Hattiesburg. In addition, the parts department offers genuine components for the DIY Southern Mississippi Volkswagen driver. Our service technicians are factory-trained for superior Volkswagen service but have unparalleled skill in servicing vehicles of every make and model. More than that, the service professionals here in the Volkswagen of South Mississippi Service Department are as skilled at attending to your needs as they are attending to your vehicle’s. All of us here at Volkswagen of South Mississippi are committed to fostering an environment built upon a level of openness, honesty, and personality lacking from other car service providers. We also offer a free car wash with every service or repair.